I got some emails asking where were the rest of the posts for the week so I thought I would at least get them all in one post. Day two and four consisted of an IOU troubleshooting beta lab we got to do each day in the morning. I guess these labs are going to be released through the 360 program in the coming weeks. 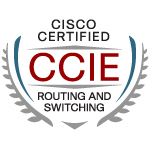 The labs are laid out and structured the same as you will see in the real CCIE lab. You have about thirty routers in a multiple network topology and you get ten to twelve tickets to work on. The labs were hard. There was no escaping any shortcomings in your lab prep. It came down to whether you knew the material or not. The questions were not on core topics only either. I remember back at Cisco Live in 2009 it was said in the R&S eight hour tectorial class that the upcoming troubleshooting section was just going to be on core topics. I guess that has changed since the original concept. The labs were great at showing you where you are weak in troubleshooting. It will be interesting to see how many are initially released because I still have some learning credits to use.